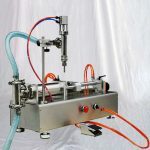 pneumatic filling machine, Widely used in pharmaceutics, daily chemicals, foodstuffs, cosmetics, pesticide and special industries. 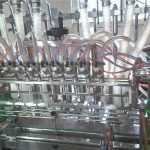 The Model is a special filling machine with 4 Heads, it is innovated and upgraded on the basis of this company's series products and introduced foreign advanced filling machine technology.. 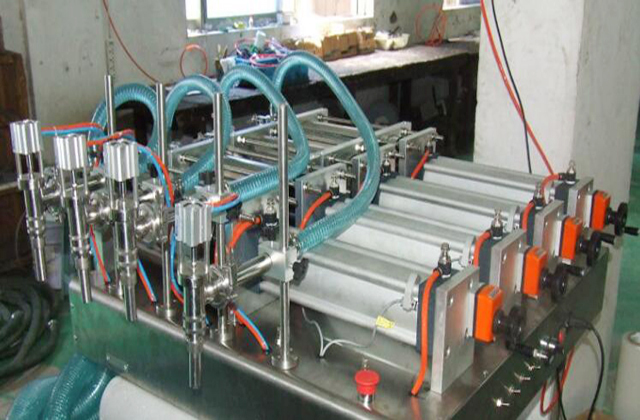 The product is simple and reasonable in design, high in accuracy and easy in operation. 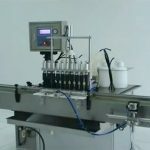 Suitable for filling liquid in the industries of pharmaceutics, daily chemicals, foodstuffs, cosmetics, pesticide and special trades. 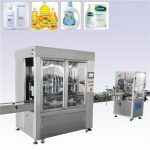 It is safe and with the personalized design, can meet the modern enterprises' requirements. This machine is working under the state without electricity, it is safer to operate. 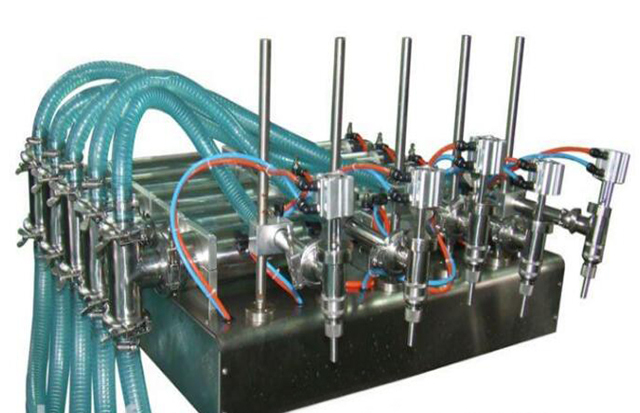 This machine has five filling heads in-phase, improving the work efficiency. 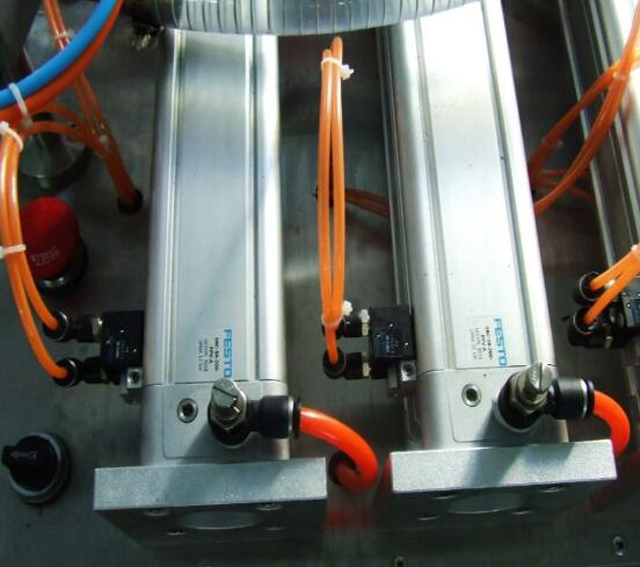 And the pneumatic part adopts the pneumatic components of Germany FESTO and Taiwan's AirTac. 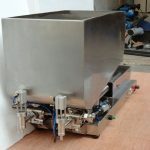 The part contacting materials is made of 316L stainless steel. 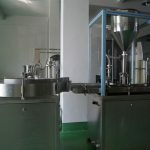 With adjustment handle of filling volume, the filling speed can be adjusted at will, with high filling accuracy. 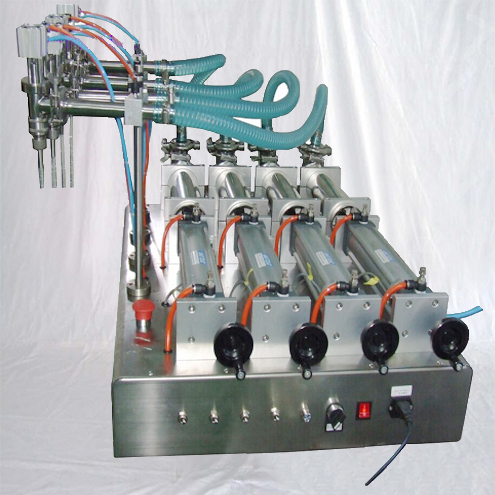 Filling head adopts anti-leakage, anti-pull and with diving filling device. 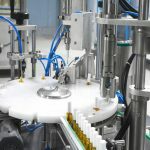 ►Rational design of the aircraft, model compact, easy to operate, are used pneumatic part of Germany and Taiwan AirTac FESTO the pneumatic components. 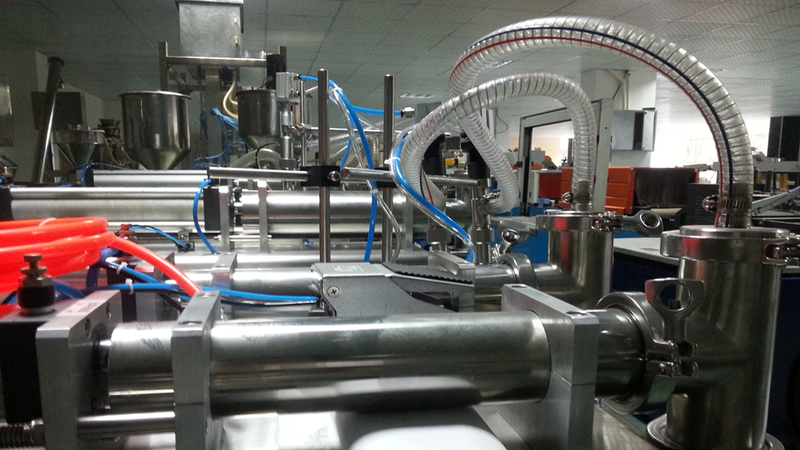 ►Some contact materials are used 316 L stainless steel materials, in line with the GMP requirements. This model is pneumatic, you need to have the air compressor. These 4 heads can work at the same time or work separately. 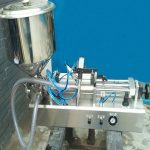 There is a switch for auto and manual function, you can set the interval time to let it fill continuously or use the pedal switch to control each filling. 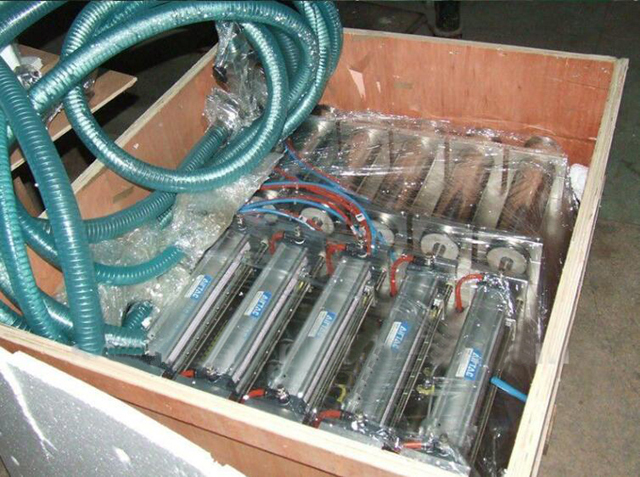 We usually arrange the shipment within 7 working days after the payment. 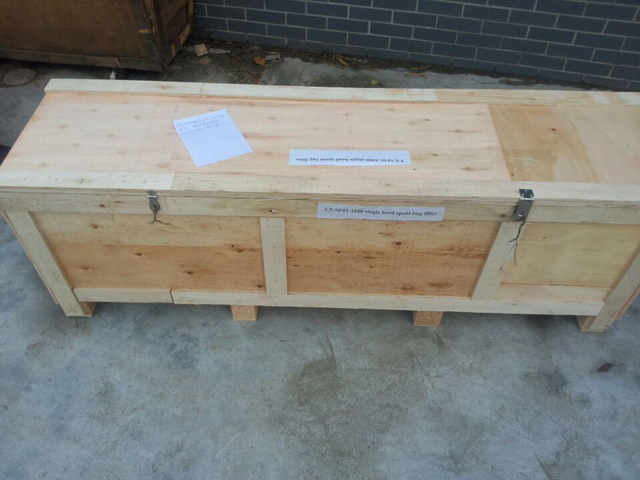 Package is standard export plywood box.